VietNamNet Bridge – "The National Anthem has a glorious melody which goes to the heart of people but the lyrics read as ‘The path to glory is built by the bodies of our foes.’ It should be changed to suit the new development period," a National Assembly (NA) deputy suggested. Deputy Huynh Thanh. Photo: Tuoi Tre. 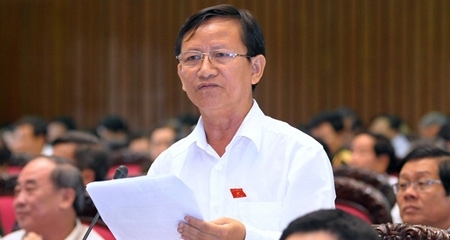 Besides a lot of comments about renaming the country, the discussion of NA deputies on June 4 noted the opinion of Deputy Huynh Thanh (Gia Lai province) on changing the words of the National Anthem. Thanh said that Article 13 of the draft Constitution defines Van Cao’s “Tien Quan Ca” (Marching Song) as the National Anthem. He suggested changing the lyrics a little to fit with the new period of development of the country. "I find the current national anthem has a glorious melody and it goes into people's mind, but the lyrics should be changed to suit a new period of development of the country. For example, it is necessary to change words such as ‘The path to glory is built by the bodies of our foes’," he said. The deputy proposed to revise Clause 3, Article 13 as "The National Anthem of the Socialist Republic of Vietnam is based on Van Cao’s Tien Quan Ca". Previously, some deputies said that the lyrics of "Tien Quan Ca" by composer Van Cao expressed pride of revolution but it is no longer appropriate in the period of peace and development. The Committee for Draft Constitution Compilation said that some voters had proposed to change in detail, colors of the national flag, national emblem and the lyrics of the National Anthem. However, this content is not taken into consideration in the draft Constitution. The committee said that the national flag, national emblem and the National Anthem have been used for a very long time so it proposed to not change them. 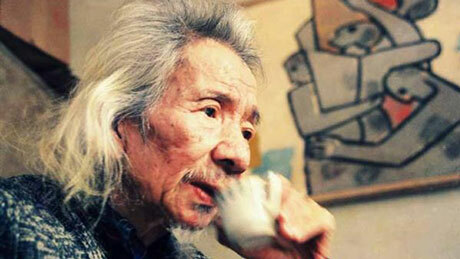 The Vietnam National Anthem was compiled by late composer Van Cao in 1944 with the original name “Tien Quan Ca”. The song was selected by the first National Assembly of Vietnam Democratic Republic as the national anthem in 1946, after asking Van Cao to change some minor details. After the suggestion was raised, several senior artists, including composer Pho Duc Phuong, music critic Nguyen Thuy Kha and singer Anh Tuyet protested this idea. Musician Pho Duc Phuong, Deputy Director of the Vietnam Music Copyright Protection Center, said that the National Anthem is a symbol of history and it is unnecessary to change the lyrics. “The National Anthem is a symbol of the history and it does not function to reflect the reality of life,” he said. Phuong said if changing the lyrics of the National Anthem, there will be very complex problems. “And if we decide to change the lyrics, we must have the author’s permission, in this case the permission of the family of composer Van Cao,” he added. “Although the National Anthem has some words like "The path to glory is built by the bodies of our foes" that is no longer suitable for the new period of development, we cannot refuse it because the song was born during the history of the nation and that historical period makes our country today,” she added.